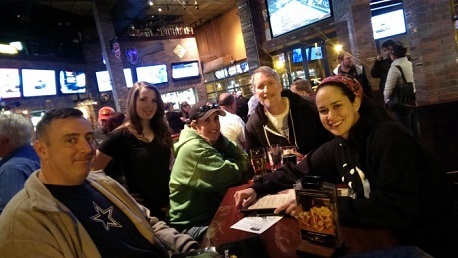 Thank you to all the returning teams who showed up for a smaller but fun game of trivia this week. A special shout out goes to Daniel from Austin Eastciders for donating a lot of awesome stuff to our top two teams from each game. Congrats to Mouseaholics for coming out on top on both games! They had a great couple of rounds. Another congrats to Porter Pie and Punching Ms. Daisy for finishing second place in games 1 and 2 respectively. Bonus question time! The day of our next meeting will be the day The Wizard of Oz debuted on the big screen in 1939. It was nominated for best picture and lost. How many MORE oscar nominations did the actual best picture winner have than The Wizard of Oz?